The New England Patriots announced Sunday morning that former defensive tackle Vince Wilfork will serve as honorary team captain for the AFC Championship game. 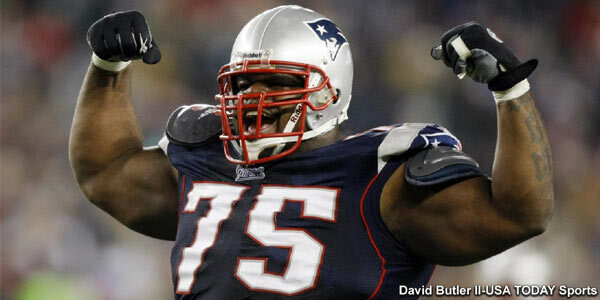 Wilfork played 11 seasons of his 13 in New England, winning two Super Bowls at the start and end of his tenure. He finished his career with the Houston Texans, retiring in 2016. 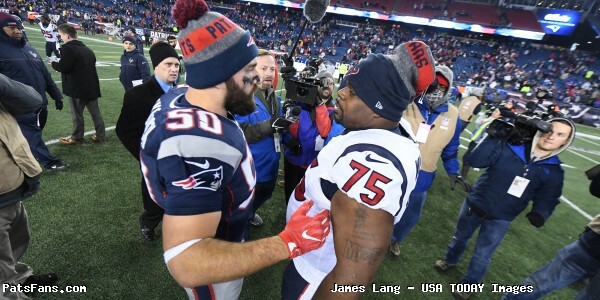 In 158 career regular season games as a Patriot, Wilfork totaled 522 tackles to go along with 35 quarterback hits, 16 sacks, five forced fumbles and three interceptions. “I’m very honored to be today’s honorary captain for the New England Patriots!! !” Wilfork said on Twitter. 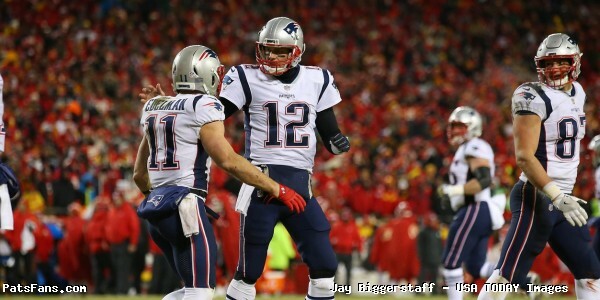 The Patriots will take on the Chiefs for the right to go to the Super Bowl at 6:40 tonight on CBS. This entry was posted in Patriots News, Patriots Twitter and tagged Vince Wilfork on January 20, 2019 by Robert Alvarez. On Thursday, New England Patriots quarterback Tom Brady celebrated his 40th birthday as he continues his preparations for an 18th season in the NFL. Many current and former members of the New England Patriots along with his wife Gisele took to their social media accounts to wish Brady a happy birthday. Happy birthday to The Man, The Myth , The BRADY!! 40s the new…Nvm it's still 40! Also to mark the occasion, the NFL shared some highlight videos of Brady’s career over Twitter. WWE Wrestling legend Ric Flair also gave Brady a shoutout with this iconic picture of the two of them. Lastly, after practice Thursday, Brady showed his appreciation for the local law enforcement agencies in Foxboro with a group photo op. 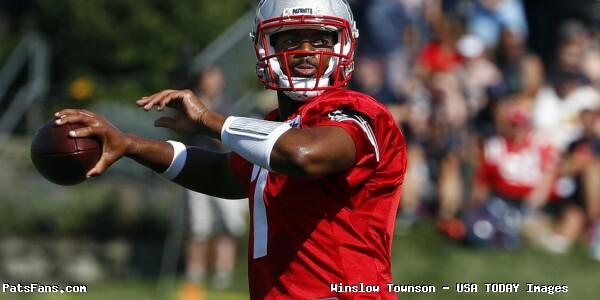 This entry was posted in Patriots Photos, Patriots Video and tagged Jacoby Brissett, Julian Edelman, Tom Brady, Vince Wilfork on August 4, 2017 by Robert Alvarez. With the month of February about to come to an end, things are about to get interesting with one of New England’s key free agents heading into tomorrow’s 4pm deadline where teams will have to decide whether or not to use their franchise or transition tag. 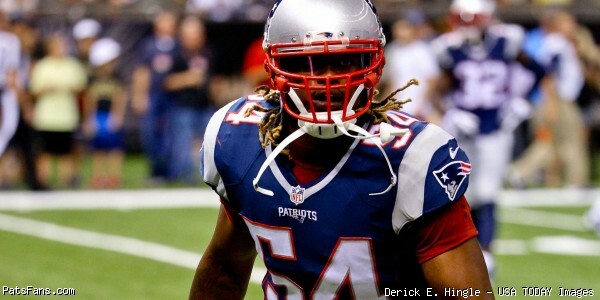 As free agency approaches, Dont’a Hightower is one of the key players on New England’s roster set to hit the market as he looks cash in after a strong start to his Patriots career. Despite injuries that have caused him to miss time over the past few seasons, the veteran linebacker has come up big when it’s mattered most, having made key plays against both Seattle and Atlanta during the team’s two recent championship runs. That will obviously lead to quite a pay increase, with the likely question being whether or not the team will use the franchise tag or the transition tag as they look to extend one of their most important defensive players. If the Patriots were to franchise Hightower, the move would guarantee his services for the 2017 season at somewhere between $14 million – $15 million while keeping other clubs away from their player. However, using the transition tag, as Mike Reiss of ESPN recently suggested, would earn Hightower a reported $11 million and would allow the Patriots the opportunity to match any potential deal he may be offered by another team. Reiss believes the transition tag makes more sense as it would be “a more affordable fallback option” while the club tries to work out a long-term deal to keep Hightower in New England. The next question will be the current state of the discussions between the two sides, and whether or not Hightower would ultimately like to remain here. He’s earned the respect of every player in the locker room and he’s become one of the most reliable defensive players for the coaching staff, with the veteran responsible for making the calls on defense as well as shouldering a big leadership role. 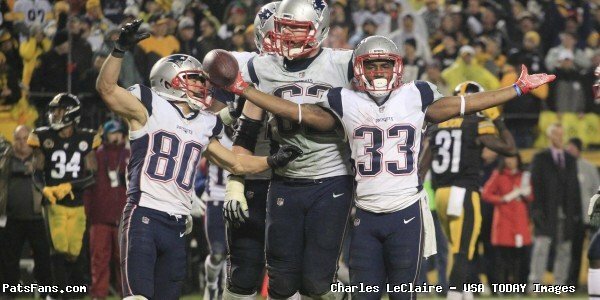 But Hightower holds a significant advantage here as the Patriots essentially put all their eggs in his basket after trading away Chandler Jones and Jamie Collins, with the team clearly believing keeping Hightower was the more important priority since there’s simply not enough money cap-wise to pay all three. Given how things have played out, Hightower has proven them correct and if he walks, they really don’t have a viable replacement right now, which is a problem. Losing someone like him would be difficult, especially given his postseason contributions since players like Hightower are certainly hard to come by. In terms of trying to figure out how things might play out, Devin McCourty’s situation comes to mind. The Patriots opted against franchising the veteran safety and allowed him to test the market, which fortunately worked out after he entertained multiple offers before ultimately signing a long-term deal and staying in New England. The big key to that process was likely the fact the negotiations seemed to remain relatively positive between the two sides throughout the time McCourty was fielding offers, which is one of the most important aspects for a player being wooed by other clubs. The last defensive player who was franchised was Vincent Wilfork back in 2010 before eventually agreeing on a 5-year extension worth $40-million, but those negotiations leading up to when he was initially tagged weren’t exactly the best. In late January that year Wilfork appeared on WEEI and one thing he talked about was the fact he honored his six-year rookie deal and he expected to be rewarded for everything he had done and didn’t feel the $7-million he would have received for the franchise tag that year was enough. Heading into the deadline, Wilfork later admitted that it left him wondering how things would turn out before realizing how important he was to his team. 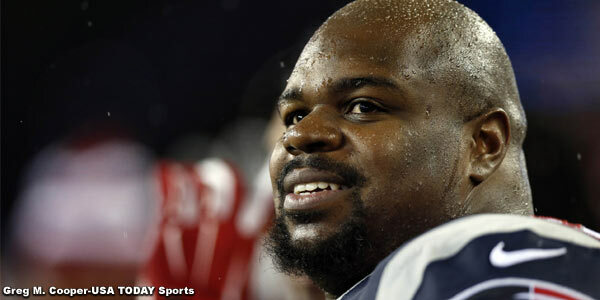 That process ultimately worked out for Wilfork, but how things will play out with Hightower remains to be seen. If his first choice is New England but he’s looking to find out what his true value is on the open market before making a decision, it’s certainly his prerogative to do so. 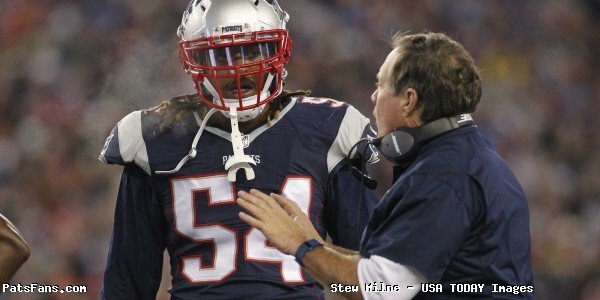 In the end, whether or not he wants to remain in New England will be up to him, but it looks like the Patriots will have their work cut out for themselves after Ian Rapoport recently reported that Hightower already turned down a deal that would have paid him a reported average of $10 million per season prior to the start of the 2016 campaign. Now the only question will be how much it will cost to get this done. Should they let him hit the market, it will be interesting to see exactly who might emerge as a contender for his services and whether or not his price tag might ultimately end up being too rich for New England, even despite his significant value to the team. For now, we’ll have to see what happens tomorrow before we know whether or not Hightower will even get that opportunity. This entry was posted in 2017 Free Agency, Patriots Commentary and tagged 2010 Patriots Free Agency, 2017 Patriots free agents, Dont'a Hightower, New England Patriots, Vince Wilfork on February 28, 2017 by Ian Logue. You can now add Richard Seymour to your following list of former New England Patriots on Twitter. Over the weekend Seymour made his debut as former teammates and fans welcomed him into the ‘Twitter World”. 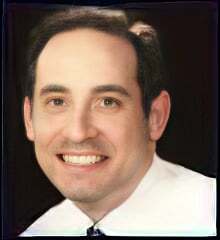 Hello Twitter World… my 1st Tweet! "Be Anxious for Nothing"
Falcons vs Pats SUPER-BOWL !! This entry was posted in Patriots Commentary and tagged Richard Seymour, Rosevelt Colvin, Vince Wilfork, Willie McGinest on January 16, 2017 by Robert Alvarez. Patriots – Texans Key Match Ups, Who Has the Razor’s Edge? The New England Patriots will play the Houston Texans on Thursday Night Football at Gillette Stadium in Foxboro. Kickoff is scheduled for 8:30 p.m. The game will be televised by CBS and can be seen locally on WBZ-TV Channel 4 in Boston. Jim Nantz will handle play-by-play duties with Phil Simms as the color analyst. Tracy Wolfson will work the sidelines. The game will also be aired on the Patriots flagship radio station 98.5 The SportsHub with Bob Socci and Scott Zolak on the call, produced by Marc Capello. 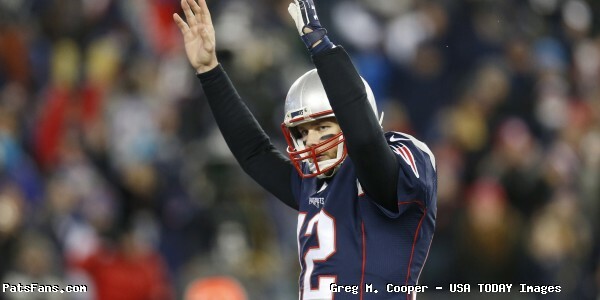 The Patriots (2-0) defeated the Miami Dolphins 31-24 on Sunday in Foxboro. New England jumped out to a 31-3 lead in the third quarter with Jimmy Garoppolo having a strong game. But after his injury, the Dolphins rallied and the Pats needed a Duron Harmon interception in the end zone with two seconds left to seal the victory. The Texans (2-0) beat the Kansas City Chiefs 19-12 on Sunday. The Houston defense was stout, allowing just four field goals and holding the opponents out of the endzone for the past six quarters. J.J. Watt who had offseason groin and back surgeries looks healthy to start the season. Against KC, he had 1.5 sacks, five tackles, and a fumble recovery. The Patriots and Texans will be meeting for just the 8th time as Houston entered the league in the 2002 season. The Patriots hold a 6-1 advantage in these contests while holding a perfect 3-0 advantage at home, including a 41-28 playoff win over the Texans in 2012. The Patriots dominated the Texans 27-6 just a year ago in Houston but that team that faced New England especially offensively is vastly different than the one they will put on the field on Thursday night. This entry was posted in Patriots Commentary, Patriots News and tagged 2016 NFL Season, 2016 Patriots season, Benardrick McKinney, Bill Belichick, Bill O'Brien, Brock Osweiler, Chris Hogan, Danny Amendola, DeAndre Hopkins, Dont'a Hightower, Houston Texans, Jabaal Sheard, Jadeveon Clowney, Jimmy Garoppolo, JJ Watt, Julian Edelman, LaGarrette Blount, Lamar Miller, Malcolm Butler, New England Patriots, NFL, Patriots, Rob Gronkowski, Tom Brady, Trey Flowers, Vince Wilfork, Whitney Mercilus, Will Fuller on September 21, 2016 by Steve Balestrieri.